Stay in Florence, Italy! CLICK HERE! 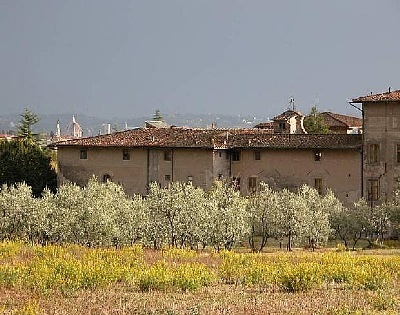 The first time I went to Tuscany I stayed here at Carlo's villa. It was the most beautiful place I had ever been and that is when I wanted to buy my own piece of history there. Carlo's place is perfectly situated, just on the outskirts of Florence ( Firenze). It is a short commute by car or bus into the central part of the historic city of Florence and all the points of interest, or to go anywhere in Tuscany by car or train. It is a good place because you can get there from the airport without going into the conjestion and overwhelming city traffic. The bus can be found nearby if you do not want to drive. Carlo always is happy to show his guests how to find the bus stop and other places you made need to get to. View of the famous Duomo in Florence from pool and garden.